Although Notre Dame, because of its French founding fathers and grotto, is usually associated with Our Lady of Lourdes, the above words, spoken by Our Lady of Fatima to three young shepherd children on May 13, 1917, could be taken as the rallying cry for the faithful who hope to avail on Our Lord to prevail in the "commencement of evil" scheduled at Our Lady's university just four days from now. 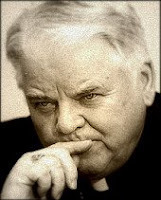 And while the prayer of the Fatima faithful helped bring about the famed "Miracle of the Sun," I believe that if enough people pray in 2009, it will bring about an equally amazing miracle of "the bishop who did act." 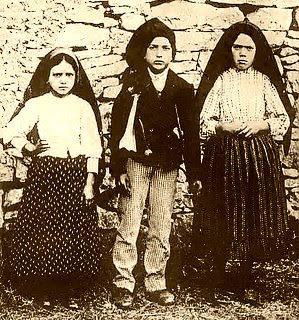 Ninety-two years ago, it was three young children, aged seven to ten, who were Our Lady of Fatima's foot soldiers in the war against the secular rulers of Portugal and the godless forces of the early 20th century. Today, the places of the youth are taken by the likes of Randall Terry, Alan Keyes, and other Operation Rescuers who, like Fatima's Lucia, Francisco, and Juanita, are getting arrested for the sake of His Name and Her Message. But while as many souls as the Spirit dictates should descend upon South Bend to follow in Dr. Keyes' and Mr. Terry's footsteps, everybody can pray. It is not by coincidence that Real Catholic TV's Michael Voris told us that the Vatican itself is on the verge of stepping in to stop the South Bend sacrilege ... but at the same time urged viewers to say the full twenty decades of the rosary for Notre Dame so that the prelates don't lose their nerve. For just as Mary urged the Fatima children,"Say the rosary every day to earn peace for the world and the end of war," She urges us today to pray for peace in the Church and the end of the Catholic campus' war on young men's souls—which leads them to destroy even younger souls before their bodies are even born. In Bud McFarlane's 1995 novel, Pierced by a Sword, the world was saved when Pope Patrick (the first Irish pope!) celebrated Mass at Notre Dame at the precise moment the forces of an atheistic world dictatorship were about to take over our country. On May 17th, that moment (that Satan is poised to capture the Church in America) is truly at hand; may we all, young and old, pray that our present Pope Benedict (in conjuntion with South Bend bishop, John D'Arcy) act at Notre Dame and save our Church—and our country—for real.